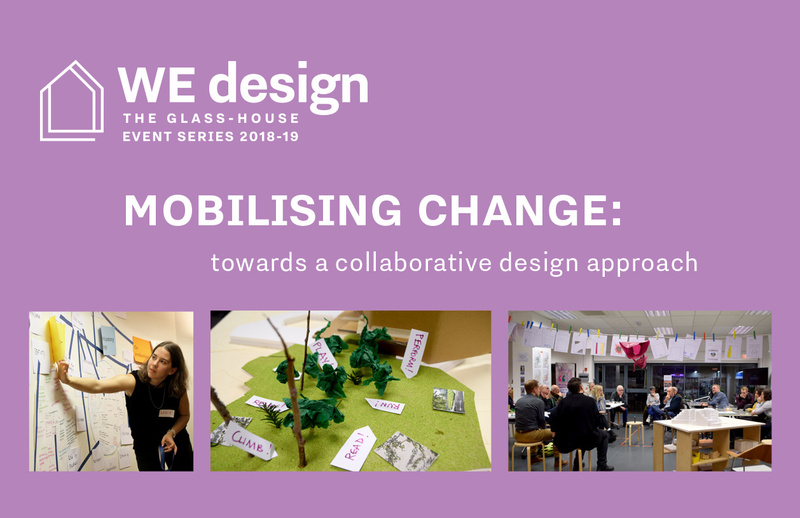 As part of our recent event series, The Glass-House have been working with partners and communities across different UK cities to explore the role of collaborative design processes in shaping places. We’ve been demystifying terminology and experimenting with hands-on, people and place-centred activities. Join us on 26 March for our showcase exhibition and debate, where we will share the proposals, design prototypes, co-produced maps and the voices of participants we’ve gathered along the way. As with all WE Design events, this will be an interactive space where we invite you to contribute your own ideas, stories and views about collaborative design. The discussion and debate will reflect on our approaches and findings from the series, before engaging our audience in exploring the role we can all play in shifting culture, policy and practice towards mobilising a more collaborative approach to placemaking. Community-led and community-engaged design are increasingly part of the narrative of development and regeneration, but what does this really mean in practice for those involved? How can we navigate the language and various approaches of people-centred design and ensure that these processes enable agency for local people? We Design events are active spaces, in which participants work together to develop ideas, proposals and prototypes which challenge their own and other people’s perceptions of design and placemaking.